Jobs Description: Prime Minister Office Islamabad Jobs January 2019 are listed below in our site. 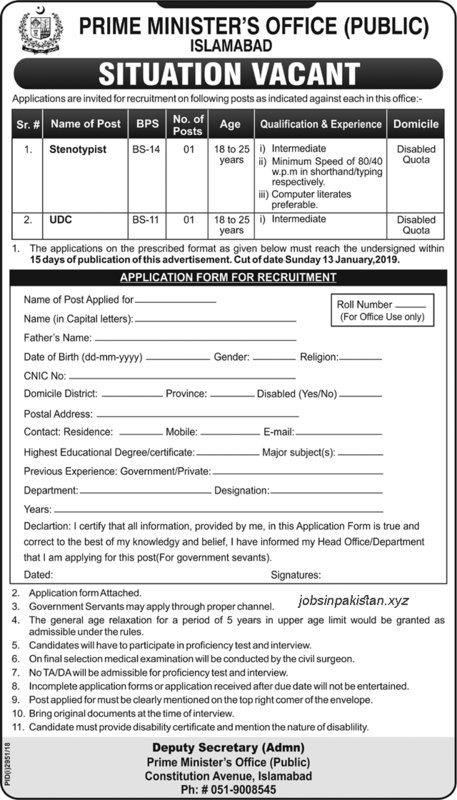 Prime Minister Office Islamabad has required the applications for following jobs. How To Apply: Application form is given below in the advertisement.